I love sport. And, I love it because I see it as a place to test your limits. I love the physical toughness of the various football codes. I love the finesse and skill of tennis and cricket. And, I love the mental toughness of cycling. The other arena that comes to sport as a place to test your limits is running your own business. When you are your business, very quickly you learn where your strengths and weaknesses are. Are you great at influencing people? Better at getting things done? Or, a champion when listening for what other people need? One of the big overlaps between winning at business and in sport is what it takes to be a champion over time. In other words, the resilience it takes to strive to be at your best day after day, week after week, year after year. Brenton Sanderson knows what it takes to succeed. 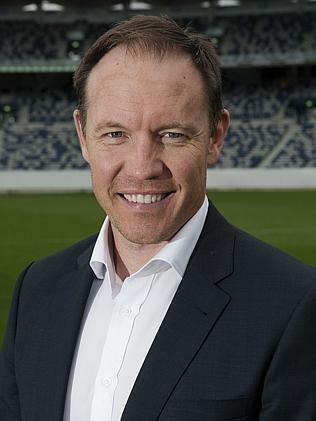 He played over 200 games across three AFL clubs, he was the head coach of Adelaide for three seasons and is currently working with the AFL National Academy. His job is to fast-track the best underage players in the country to help them progress to AFL ranks. The platform for everything is self-control. If you’re not creating the right moods and emotions for the situations you find yourself in then you’re not going to make good choices and produce great results. Some things are beyond our control… the weather is the obvious one. That’s a fact! Facticity means that you can accept what is beyond your control and focus on the things you can. This is the key to focus and results. Stuff happens. And, it’s not always the stuff we want to have happen. And, taking the time to stop and reflect on what doesn’t go to plan is the best way to avoid making the same mistakes over and over again. Learning from experience is your shortcut to success. Whilst you might be a solo operator in your business, you can’t win alone. As Sanderson points out, you need to be able to celebrate others people success. It’s all part of being a team. And, it’s healthy not to be jealous or envious of others. Stop complaining! Instead, ask questions and clarify. As part of a team you can hold a different opinion to your boss or coach and you also need to be able to align your actions to the cause. I like this one… Other people’s opinions can be helpful and at the end of the day the only opinion that matters is the one you have about yourself. And, the bottom line is we all know within ourselves whether we are meeting our own standards. Set out to impress yourself not others. We can’t all run like Usain Bolt, think like Albert Einstein or have the charisma of your favorite movie star. We need to be grateful for what we have and best of all, work to our unique strengths and talents. Focus on and build what you have, not what others have. QUESTION: Which of these seven steps to resilience strikes a chord with you? Which one will you work on today?